LEDON supplies several activity rooms, which can be designed with different side panels. The activity rooms are good for creating zones and shielding, so that smaller spaces can be formed. 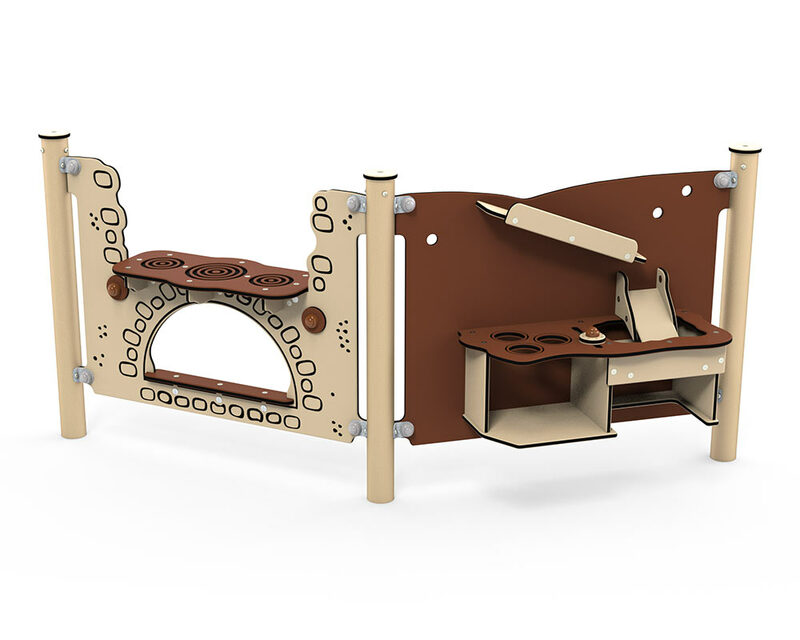 The smaller activity panels such as Elo and Guo are good at inspiring children to play in the sandbox – for example the kitchen panel, where role-playing is particularly popular. Role-playing games are important for children’s development, because when children assume different roles, it helps them to understand the outside world. It is also through role-play that children learn social rules as well as how to compromise and resolve conflicts.